Gloucester, 22nd February 2018 – Röchling Engineering Plastics (UK) Ltd in Gloucester, UK, has put a cleanroom of ISO Class 7 into operation. 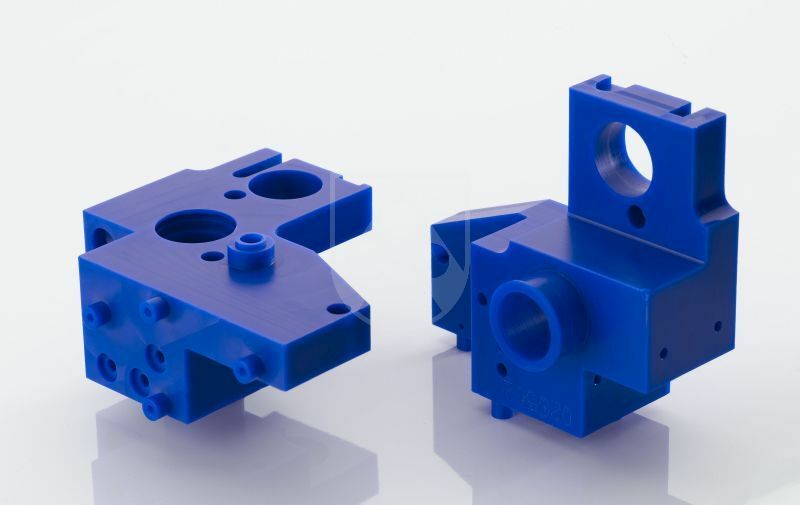 With the investment, the plastics processing company is expanding its range of highly-precision machined components made of thermoplastics specifically for medical technology, pharmaceutical engineering, aerospace and semiconductor technology. As part of the Industrial Division of the global Röchling Group, the company can fall back on extensive expertise in manufacturing and material. Worldwide, the Industrial Division combines numerous subsidiaries and provides an extensive range of semi-finished products and machined components made from thermoplastics and composites. In the United Kingdom, Röchling Engineering Plastics (UK) in Gloucester, along with the subsidiaries Röchling Fibracon Ltd., High Peak, and Röchling Insoll Ltd., Hitchin, provide multiple sites servicing numerous industries. With this investment, the Industrial Division is specifically expanding its competence for medical technology. The locations in Gloucester as well as Röchling Industrial Laupheim GmbH, Laupheim/Germany, and parts of the production at Röchling Sustaplast SE & Co. KG, Lahnstein/Germany, are certified for medical products according to quality management standard ISO 13485. Moreover, the Industrial Division provides a comprehensive range of semi-finished, biocompatible plastics specifically for medical technology tested according to ISO 10993. The Röchling employees at the Gloucester location are trained in seminars specifically for the work in a cleanroom. A cleanroom is described as a closed production area in which the concentration of particles and micro-organisms in the air is controlled. The number of particles is controlled, for example via elaborate ventilation and filter systems, the specially aligned air flow and special cleanroom work clothing.